When picking out a guinea pig cage you should look for one that has four square feet for each guinea pig that you have in it. Although that’s just a basic rule, the bigger you can have it the better, guinea pigs like to have a little bit of space to move around. Also, having a plastic tub at the bottom rather than wire is highly recommended to ensure the health of your guinea pig’s feet. 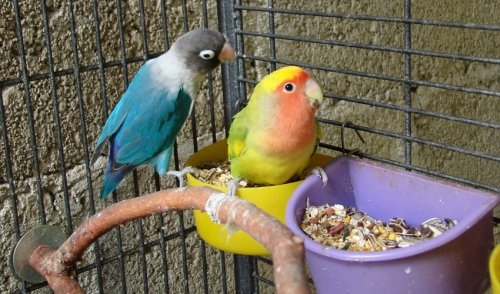 Ideally, you should remove droppings, soiled bedding and stale food from the cage daily. Replace all of the bedding every week and rinse out the bottom of the tub with warm water and dry it out before putting new bedding back in. 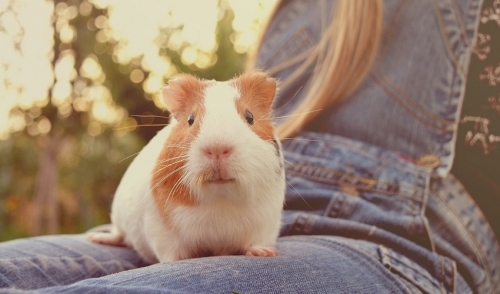 Guinea pigs are pretty social animals and while they like bonding with you and being held, guinea pigs are best suited to have another guinea pig to be with when you’re not around. If you don’t want them to breed at a prolific rate, get two of the same breed. The best pairing is two females together but males can also live with each other if they have been doing so since they were young. If you do plan on introducing two guinea pigs to each other, no matter the gender, it is best to do it in a secure, open area before putting them together in a confined cage. Probably most importantly to you, keeping two guinea pigs doesn’t cost much more than having one. You should provide your guinea pig with food pellets every single day and remember to constantly keep timothy grass in the cage for him to gnaw on. Water should also be replaced daily and being as how guinea pigs can’t produce Vitamin C, a supplement of some sort should be provided.